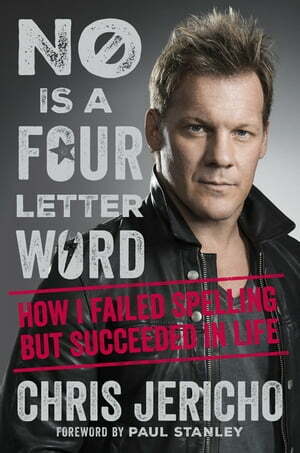 Collins Booksellers - No Is a Four-Letter Word by Chris Jericho, 9781409165583. Buy this book online. Bestselling author and six-time WWE champion Chris Jericho shares twenty of his most valuable lessons for achieving your goals and living the life you want, jam-packed with fantastic stories and the classic off-the-wall, laugh-out-loud Jericho references he's famous for. The result is a fun, entertaining, practical and inspiring book from the man with many scarves but only one drive: to be the best. After reading No Is a Four-Letter Word, you'll discover that you might have what it takes to succeed as well ... you just need to get out there and do it. That's what Jericho would do.